Goiter (Enlarged Thyroid) is a thyroid related disease which causes the thyroid gland to grow abnormally in size. 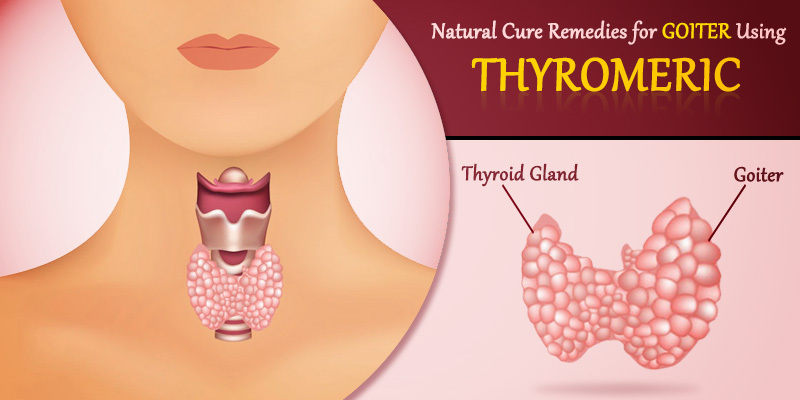 The thyroid gland is one of the glands that are part of our endocrine system and is responsible for producing two hormones – thyroxine and triiodothyroxine. The pituitary gland, which is also a part of the endocrine system, works on conjunction with the thyroid gland by producing a hormone known as TSH (thyroid stimulating hormone) when the secretion of the two thyroid hormones is not at an acceptable level. When this system ceases to function properly, the thyroid gland starts working against the production of TSH and as a result grows in size leading to goiter. Other than a swollen neck, Goiter manifests in the form of hypothyroidism or hyperthyroidism. How can curcumin help in managing Goiter? In case of individuals whose diet is deficient in iodine, curcumin can help in mitigating the risk of goiter. In a study conducted by Jawa A et al, 2335 individuals from various regions of Pakistan were studied especially since these regions are known for their iodine deficient diet. It was found that goiter was found less common in people whose diets included spices like turmeric which is a main source of curcumin. The most common pain areas of goiter are issues related with the neck edema. These issues are usually trouble in swallowing, pain in the neck, painful throat etc. Since curcumin is known for its anti-inflammatory properties, it is helpful in mitigating these effects of goiter thereby bringing the patient relief. Curcumin does this by curbing the production of those chemicals in the body that cause inflammation. The antioxidant properties of curcumin have also been found in curing hypothyroidism, which is one of the usual outcomes of goiter. The damage caused by the excessive production of thyroid hormones can spread to other organs causing them harm. For instance, kidneys may get affected leading to formation of masses on the kidneys, swelling etc. The antioxidant properties of curcumin help in avoiding this. Since curcumin is also known to possess anti-cancer properties, it helps ward off any danger of developing thyroid cancer as a byproduct of goiter. After knowing how beneficial curcumin is in curing goiter and its side-effects, there is no doubt that you would like to know the easiest way to procure some natural, organic curcumin supplement. Search no more because at the very heart of the Indian subcontinent lies a verdant haven for organic curcumin and supplements made out of it. This venture is known by the name of Bagdara Farms and is committed to produce the highest quality of curcumin and curcumin-enriched supplements without the use of any chemical fertilizers, insecticides or pesticides. The products developed here are 100% natural and organic. 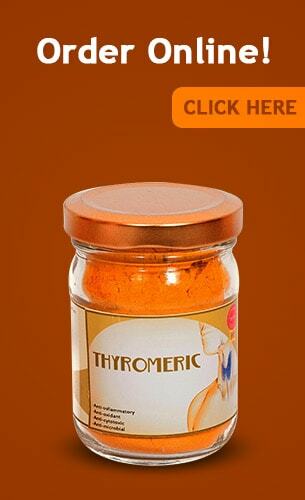 One of the curcumin supplement produced at Bagdara Farms is Thyromeric which is specifically tailor made for people suffering from thyroid related diseases and can be safely taken by patients suffering from Goiter. How should Thyromeric be consumed so as to benefit most in case of Goiter? The curcumin found in Thyromeric is best taken in the form of a concoction prepared with ground black pepper and coconut milk or coconut oil. Black pepper is an essential ingredient in this preparation because it contains an alkaloid known as Piperine, which ensures that the curcumin is absorbed properly by the body by increasing its bioavailability. This is important since curcumin, by itself, is a difficult to absorb substance. The other chief ingredient of this concoction is the coconut milk or coconut oil. This is an important additive too especially since curcumin when taken with fat is more easily absorbed by the body. Also, combining Thyromeric with coconut milk/oil helps in increasing the metabolic rate too making it easier to manage weight. The ratio in which these three ingredients are to be added is – ½ a teaspoon of Thyromeric, a pinch of black pepper and 2-3 tablespoons of coconut milk or ½ – 1 tablespoon of coconut oil. Even though Thyromeric is 100% natural and organic, it is always wise to try it first in a small quantity to ascertain your body’s general reaction towards it. Furthermore, do not take Thyromeric in addition to any other supplement that you might be taking as this may cause unwanted reaction. Avoid taking Thyromeric if you have a history of gall bladder issues. If you are about to undergo surgery, stop taking Thyromeric a couple of weeks in advance since curcumin poses a risk of bleeding. Can Menoeze Ease Out Peri-Menopausal Depression?